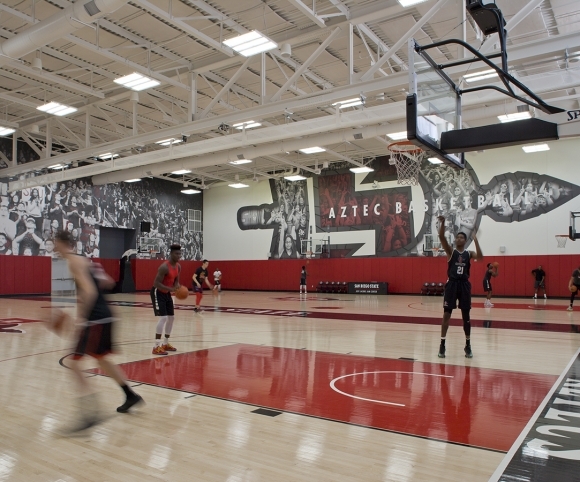 John A. Martin & Associates, Inc. SDSU Jeff Jacobs JAM Center Basketball Practice Facility - John A. Martin & Associates, Inc. 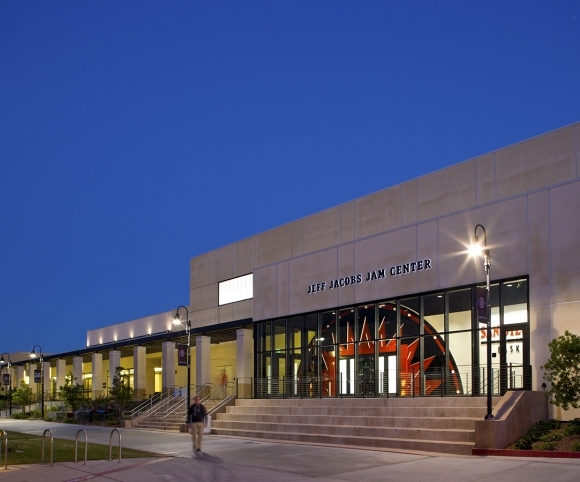 Opened in August 2015, the San Diego State University “Jam” Center is a new 24,000 square foot basketball practice facility featuring two, full sized basketball courts with telescoping bleachers for 130 spectators. Amenities include team rooms for men and women, coaches’ locker rooms, a film room, a sports medicine suite and support facilities. The facility offered challenges for construction with its siting behind the campus’ alumni center, between the Sports Deck, athletic department and football practice field. Structural concrete piers were required to prevent settling and 126’ steel beams were used to offer long-span clearances.